Located directly to the North of Nanaimo, British Columbia on Vancouver Island and South of Parksville, Upper Lantzville is a neighborhood of family homes set on properties much larger than you typically find in the City of Nanaimo. There are acreage properties and plenty of home sites that range from a quarter acre to a half acre. Many homes enjoy outstanding views of the Winchelsea Islands. 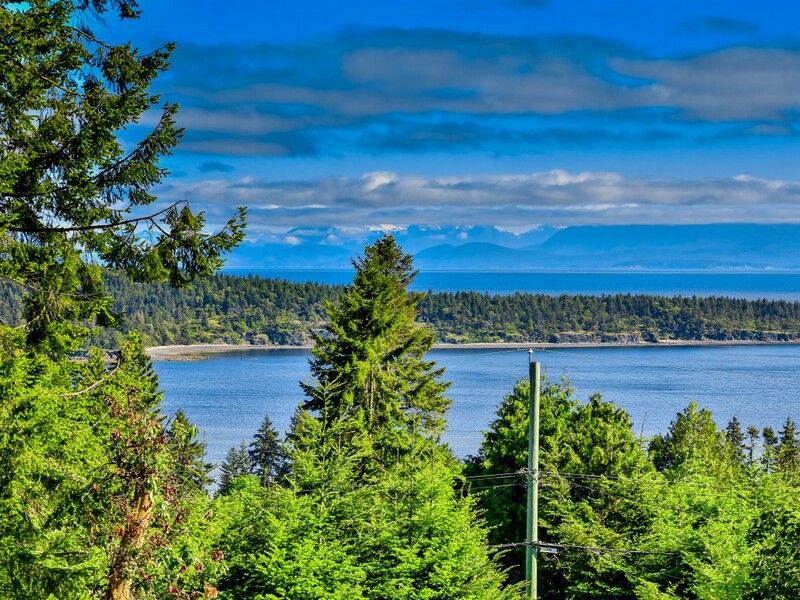 A Beautiful view of Nanoose Bay from a recent Upper Lantzville listing on Northwind Drive. Lantzville offers many parks for afternoon entertainment. These include Copley, Huddlestone and Rotary Parks. Huddlestone has a giant playground with slides, swings and plenty of things for kids to climb on. It offers a pavilion for picnics and plenty of lawn area for running around. Huddlestone is even available for private functions and may be reserved by calling the District of Lantzville. Looking for a home in the Lantzville Area? Click HERE to find available listings.